A multi-faith memorial service has been held in London for the victims of the Grenfell fire tragedy. 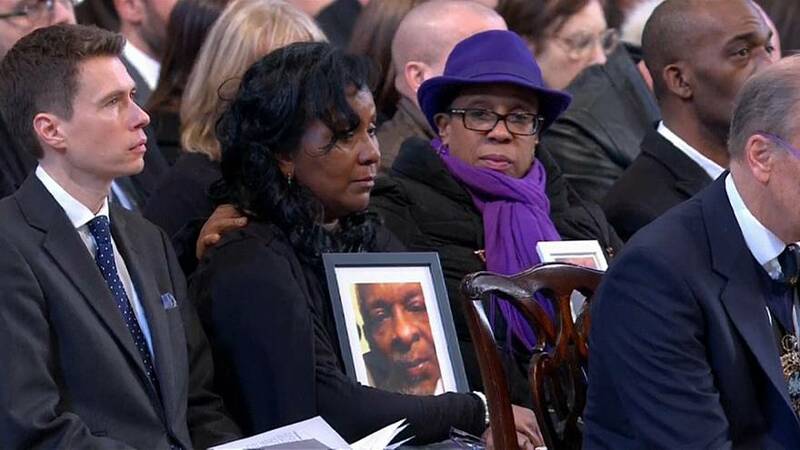 Survivors and families of the 71 people who died in the blaze in a social housing tower gathered in St Paul's Cathedral, exactly six months after the inferno. Members of the royal family also attended. One of the prayers recited by the congregation said: "We stand together, in the quest for justice and peace, remembering those who have died." The royals spoke with some of the bereaved relatives, as controversy continues about the circumstances surrounding the fire and whether it could have been prevented. Many of the relatives later took part in a silent vigil on the steps of the cathedral. Residents say concerns they voiced about safety before the fire had been ignored. Those who died included 53 adults and 18 children. Police are still investigating the blaze and say charges may be brought against individuals or organisations. A separate public inquiry is also being held into the causes of the tragedy and the response by authorities.